The International Data Corporation (IDC) recently unveiled a report that shows shipment volumes of wearable device trackers increased 5.5% worldwide from last year. While North American, Japanese, and Western European markets showed a decline, emerging markets grew substantially. 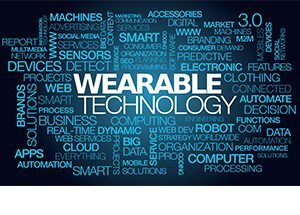 The decline is a result of a transition to more sophisticated wearables, according to Jitesh Ubrani of IDC. The report also shows an increased demand for smart wearables and a decline in demand for basic wearables. This explains the decline in year-over-year growth that Fitbit experienced in Q2 2018. Top five wearable companies include: Apple, Xiaomi, Fitbit, Huawei, and Garmin. Of the top five wearable companies, only Fitbit saw a decline in year-over-year growth. Xiaomi brand awareness grew across Europe and the Middle East thanks to the success of its smartphone options among other tech products. Huawei focused heavily on the Chinese market but is also experiencing growth outside of that.